Due to slick roads, the Heartland Executive Committee Meeting is postponed until next Wednesday, December 5. 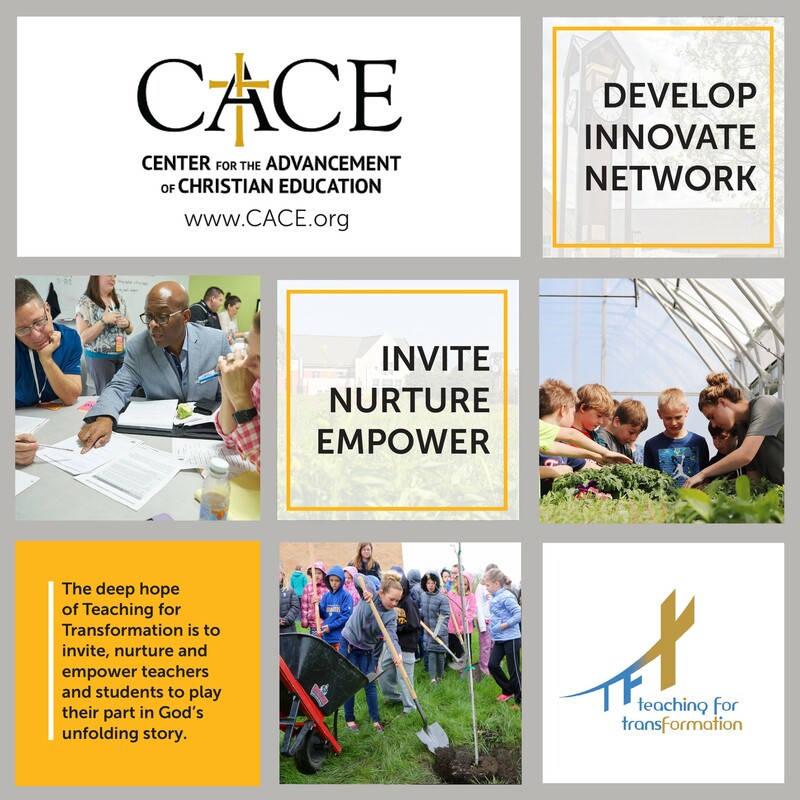 See how CACE can help with Faith Integration at your school! E-mail or call the Heartland office (heartland@dordt.edu; 712-722-6216) with questions! Denita Dinger is a defender of the joyful and valuable learning that occurs in child-led play. She is passionate about bringing that joy to all early childhood programs, and helping others see play for what it truly is. Dinger states that joyful learning is meaningful learning. It is not forced, nor is it memorized. It is self-motivated and better prepares us for life. Denita Dinger’s presentations are heartfelt, humorous, valuable, and most importantly, REAL. She doesn’t just throw out theory — she is all about practice, and understands when people struggle with seeing the learning power of play..
Denita has been a keynote presenter since 2009 and has co-authored three books with Jeff A. Johnson through Redleaf Press: “Let Them Play: An Early Learning UnCurriculum”, “Let’s Play”, and “Let’s All Play”. Join us at Heartland Convention 2018 to attend sessions presented by Denita Dinger, and come away with new ideas on play for your early childhood program. The registration for our October Conference “Design In Progress” begins August 31, 2018. Be sure to read the schedule and plan to attend. Dr. Kathy Koch to speak at Convention! Dr. Kathy Koch (“cook”), the Founder and President of Celebrate Kids, Inc., based in Fort Worth, will be the keynote speaker at the 2018 Heartland Convention. Her keynotes are scheduled for 10:00 a.m. on Thursday, October 4 and Friday, October 5, at 11:00 a.m. Both keynotes will take place in the BJ Haan Auditorium. The public is invited to attend! Dr. Kathy has influenced thousands of parents, teachers, and children in 30 countries through keynote messages, seminars, assemblies, and other events. She is a regular presenter for Care Net, Summit Ministries, Great Homeschool Conventions, and other organizations. She speaks regularly at schools, churches, and pregnancy resource centers. She is also a popular guest on Focus on the Family radio and other radio talk-shows. Kirk Cameron chose her as the technology expert to interview in his movie, Connect: Real Help for Parenting Kids in a Social Media World. She has authored six books. Convention attendees will also have the opportunity to attend one or both of her breakout sessions: “8 Great Smarts: Discovering and Using Your Students’ Intelligences” and “Technology’s Influence Over Students’ Beliefs and Behaviors.” Click here to hear part I of her talk on the Focus on the Family radio show aired June 5, 2018, which gives a glimpse of her breakout session on technology’s influence. Plan to attend Convention 2018, October 4&5!